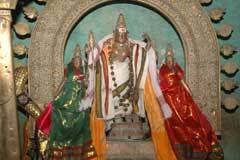 The Lord of the temple is praised in the hymns of Saints Gnanasambandar, Appar and Sundarar. 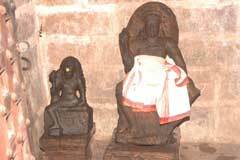 Praising the Lord of Tirukadavur Mayanam, Saint Sundarar says, Lord of Tirukadavur Mayanam graces Wearing Kondrai and crescent moon as a gemmed hill Sitting on His bull vehicle with Mother, surrounded by Boodhas Lord Vishnu, Brhamma, Indira and all in celestial world. 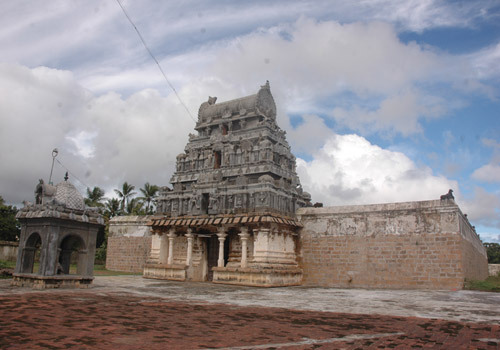 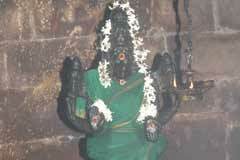 This is the 48th Shiva temple on the southern bank of Cauvery praised in Thevaram hymns. 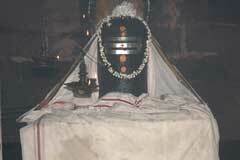 The Lord appears with weapons as bow, arrow and Vel, wearing Rudraksha garland, footwear as if on a war path. 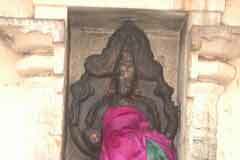 The idol is slightly slanting on the left reminding Lord Sri Rama. 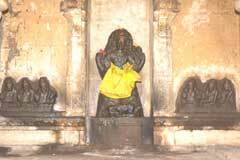 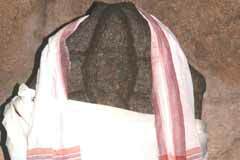 Lord Vinayaka always appears with His pot belly in temples but with a shrunk belly touching the back in this temple. 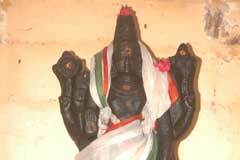 He is worshipped as Pranava Vinayaka. 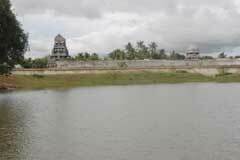 The temple is open from 6.30 a.m. to 1.00 p.m. and 4.00 p.m. to 7.00 p.m.
Sri Brahmmapureeswarar temple, Tirumayanam, Aadhi Kadavur,, Tirukadayur – 609 311., Nagapattinam district.